The USTA Foundation is thrilled to announce we have been designated as the official charity of the 2017 BNP Paribas Showdown for the fourth consecutive year. 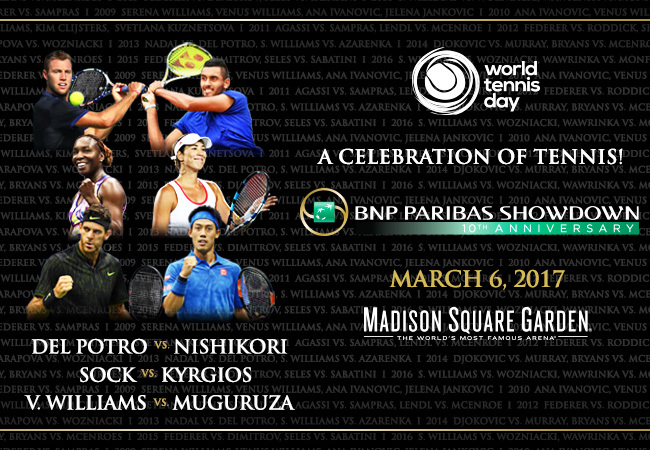 The 10th Anniversary Showdown will be held at Madison Square Garden on World Tennis Day, March 6, 2017. 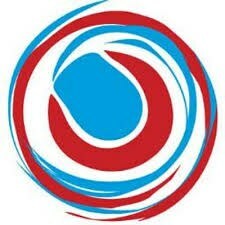 World Tennis Day is a celebration of tennis around the globe. For the USTA Foundation it will also be a celebration of how tennis gives back to the community as we host our annual fundraiser at Madison Square Garden. Del Potro, the 2016 Olympic silver medalist, will take on world No. 5 Nishikori, while former world No. 1 Venus Williams will face reigning French Open champion, Muguruza. The evening will also include an exciting legends matchup and Kyrgios and Sock, two exciting young stars on the rise, will provide a glimpse of what the future has in store for tennis fans.